Every year at Danversport Yacht Club, we host the exciting Bridal Show Event for couples-to-be. 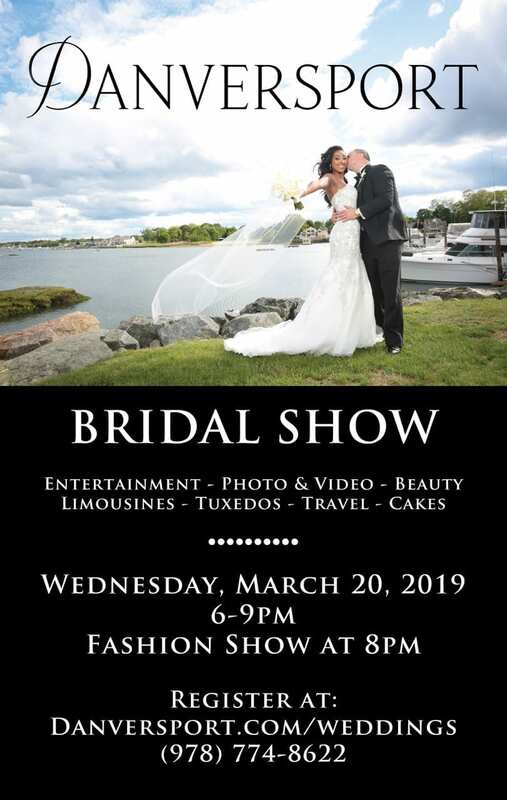 On March 20, 2019, we’ll be hosting our Annual Bridal Show to showcase all things wedding related. When you attend the event here at Danversport, you can see what trends you like, what colors you enjoy together, and really get a feel for what’s out there and available to you on your big day from all of the amazing examples and samples. How will you know which limousine company to rent from, or which photographer to hire? See everything first-hand before you make your decisions. This is a great way for couples to get their creative gears turning and start their planning. Read through this blog to get excited, learn the details of the event so you know what to expect. We’ll have photographers on-site shooting all of the beautiful happenings of the bridal show. There are so many options when it comes to wedding photography/videography. When you see some example photos and see how photographers work, you can see who you want to capture the moments of your own wedding. Don’t know what you want to arrive in at your wedding venue? Are you still looking for some creative inspiration when it comes to making your entrance? See how couples are doing things in 2019 by attending the Bridal Show, and scoping out what’s available. Do you want something flashy and grand, or were you thinking something smaller and classic? You can view all of your options from the limousine companies that showcase their services at the bridal show. When it comes to entertainment for a wedding, there are so many options: DJs, Live Bands, Playlists, and more. What type of music will you want at your wedding? How do you want to set the mood? Will you include a dancefloor at your wedding venue? When you attend the Bridal Show and see all of the possible options for entertainment, you’ll know right away how you want to plan your music and entertainment. One of the positively notorious aspects of wedding planning is cake testing. See what’s hot for trends, flavors, styles, colors, and presentations at this years show. For the bride, testing hairstyles and makeup before your wedding can be expensive and timely. Come see some examples in person and find out what you like. Are you considering an updo, a veil, or low curls? Get an idea of some makeup looks that will match your dress, your personality, and your wedding style. There are so many different styles of tuxedos for weddings. 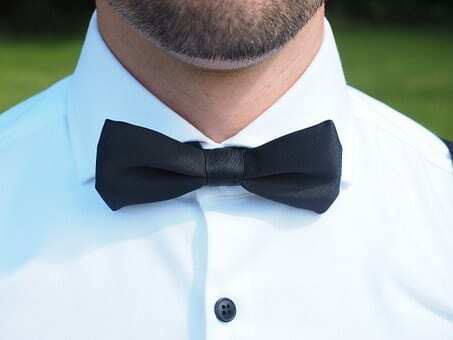 As a groom, a best man, or a wedding guest, you can get an idea of what’s popular for tuxedo styles this year. Classic black, grey, pinstripes, and solid colors are all great options. See what will be featured by purchasing a ticket and attending the event. Remember, all couples-to-be are invited to attend this annual event, not just those choosing to celebrate their special day with us at Danversport. Be sure to send this blog link to all of the couples to be who may be looking for wedding inspiration! The Bridal Show also features a runway fashion show and fabulous prizes you won’t want to miss. Tickets are $10 per person when purchased online here. Otherwise, tickets are $15 per person at the door. Make sure to register early, as this is one of our hottest events of the year, and will sell out quickly!